The South African Guild of Motoring Journalists has announced the 2009 winner of the annual Car of the Year competition. 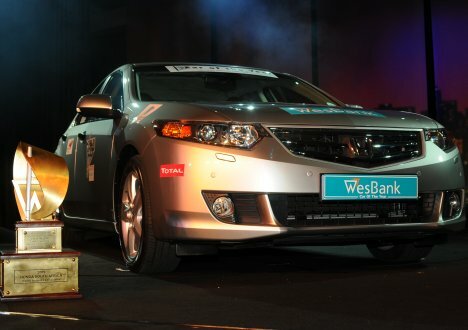 This year's winner is the Honda Accord 2.4i Executive and it competed against eight other finalists. The announcement was made late on Tuesday in Johannesburg at a function attended by motor industry executives, dealers, and, of course, the judges and other members of the Guild. Last year's winner was the Mazda2 1.5 Individual. Honda's Civic VXi was the winner in 2007. The CR-V SUV was a finalist in the 2008 contest, while the previous generation Accord and Jazz were finalists in 2004.